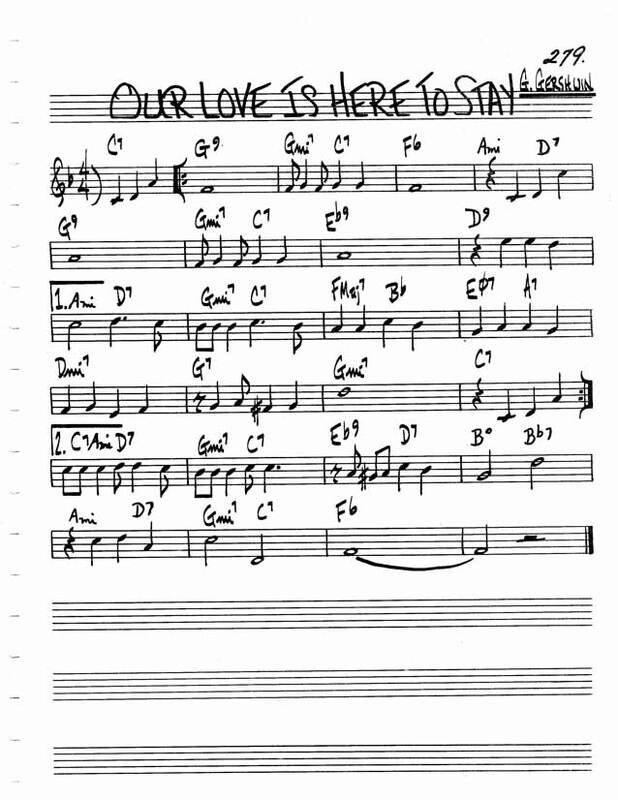 I was interested to know the function of the opening chords of the standard "(Our) Love is Here to Stay". It opens with a G7, Gm, C7, F.
I was intrigued by the surprise of the G7 to Gm. Is this a common progression, where did he get the G7 chord from and how would the function be noted for this please? I see Gm, C7, F as a II V I in F, of course. Is the G7 acting as a secondary dominant of C7 but with the unusual interruption of the Gm? Is it common to make a II chord a dominant? Thanks in advance to the replies! "Is it common to make a II chord a dominant?" Yes, very common. And a VI, and a III. In fact, any minor chord being used in a 'cycle of 5ths' sequence may be substituted by its major version, giving it a bit of extra pull towards the next chord in the pattern. Here's a standard 'cycle of 5ths' sequence in C major. F#m7b5, Bm7, Em7, Am7, Dm7, G7, C.
Any (or all) of them may be pleasantly changed for a 'dominant 7th' shape chord. F#7, B7, E7, A7, D7, G7, C. And there's no need to go into a frenzy of 'temporary key centres' or 'borrowing'. It's just a beefed-up 'cycle of 5ths' firmly in C major, despite the chromatic notes. As Gershwin (and the other examples @Michael Curtis posted) shows us, we can even switch freely between the major and minor forms. Effective, because slightly unexpected. But perfectly 'correct'. 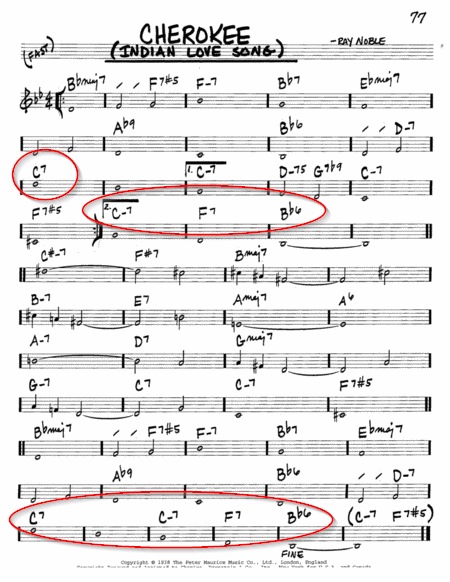 Since the Bb that creates the Gm7 is not in the melody in a harmonically essential way and that Bb anticipates the same tone in the following C7 chord... and the root doesn't change and the duration is short, chromatic passing motion seems like a good description. The basic root progression by descending fifths isn't altered. It's almost like a harmonic 'two for one' deal! You get the same basic progression as both a chain of dominant 7th chords or the standard ii-V-I. EDIT re. the comments on the original question about whether this progression is common. This is the exact same progression that ends the sections of the song 'Cherokee.' Both songs use the progression to lead to the tonic chord. Like @ggcg said, I have seen this type of change in other lead sheets. Certainly the sound is familiar to me. ...either way the dominant 7th changing to a minor 7th is happening to a secondary dominant while the true dominant chord resolves to the tonic in the conventional way. 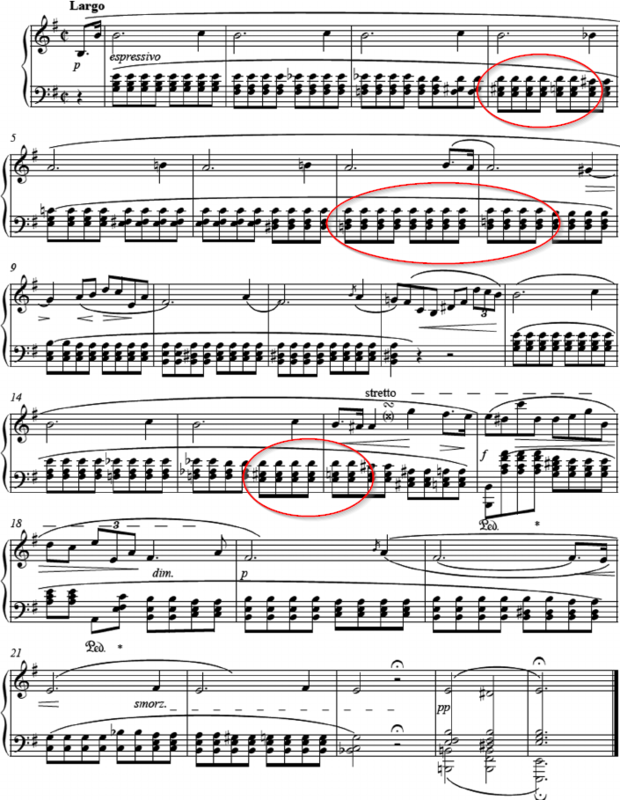 There is another example of this in Chopin's 'Prelude in E Minor' which is very clear. In mm. 4-5 there is a E dominant 7th chord in root position which changes to an E minor 7th chord in root position (then there is a diminished 7th passing chord) leading to an A minor 7th chord in 2nd inversion. The dominant 7th to minor 7th chord change happens again in mm. 7-8 & 15-16. Since the chord voicings are notated in the score the smooth chromatic lines are totally obvious. So, is this kind of progression common? uncommon? How about uncommonly good! The short answer is yes. The G7 is the secondary dominant to C, the V of F. There are two devices being used here. The first being the secondary dominant of the V, which will create a resolution to the V chord in the sequence. There is movement form the major third of G7 to the minor third (which is the dom7 of the upcoming C7). So in a sense you are creating a chromatic passage to Bb which may lead down to A, the 3rd of F. This type of device is common. We see it often in guitar arrangements. It can be applied to any chord and is reminiscent of the IV --> IV- type progression used to resolve to I by way of a chromatic passage of 6 (3rd of IV) --> b6 (-3rd of IV-) --> 5 (5th of I). This movement creates a melancholy feel. Not the answer you're looking for? Browse other questions tagged theory chord-theory jazz or ask your own question. Borrowed chords - does their function change?